In this tutorial or guide i will be showing how to unbrick any MTK phone after flashing the wrong flash file. The first time i exprience this problem when i flash tecno w3 not knowing phone has many variant. please follow the guide very carefully and you will get your device back to life. Note: This procedure work for all MTK Android phones (e.g Tecno, Gionee, Infinix, Opsson, Innjoo, TLC, Lead1 etc) but the backup files to be used may differ. If you accidentally bricked your MTK phone through whatever means then read through this guide. 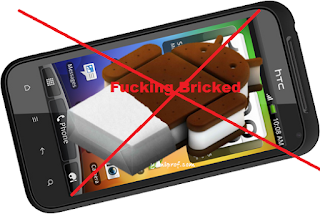 Some people; however, attempt unbricking / fixing their bricked MTK phones using either the wrong procedure or OS files. As a result, their devices get worse. The phones enter into a higher level of unbricking whereby, they don't even boot or charge any more, just dead. Even pressing the power button would have no effect in such a scenario. What has happened is called a corrupted or missing Preloader (preloader.bin). * If flashing was successful then your phone should at least be able to vibrate when you press the power button or boot if the correct files are present on your phone; else, flash other necessary files to make the phone boot up and start working normally again.